In the later seasons, under the captaincy of Chris Hasler, we performed very well in some hotly contested series. Despite obtaining the services of some of our best runners on several occasions, the unerringly consistent Wessex proved impossible to dethrone. Agonisingly for us, even when Wessex had an off year, Wimborne suddenly produced a strong team. 2016 - always the bridesmaids? The series winners were determined much later than usual. QO needed to win comfortably over Wessex in the last relay on a September Monday evening in Dorset but Wessex won. We did manage to secure the runners up spot for the third year running, finishing one point ahead of Sarum. 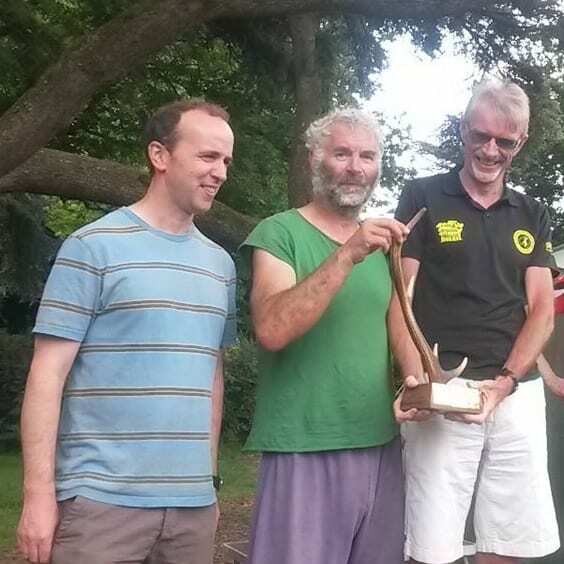 Our previous visit to Dorset saw us beat the champions at their own event, the Hardy Relays at Upton Country Park. Earlier, we had taken three teams to Bristol's Adams Avery relay at Dyrham Park. A win over Wessex in the Devon relays at the end of the season was mere consolation as they had beat us in each of the first five relays. 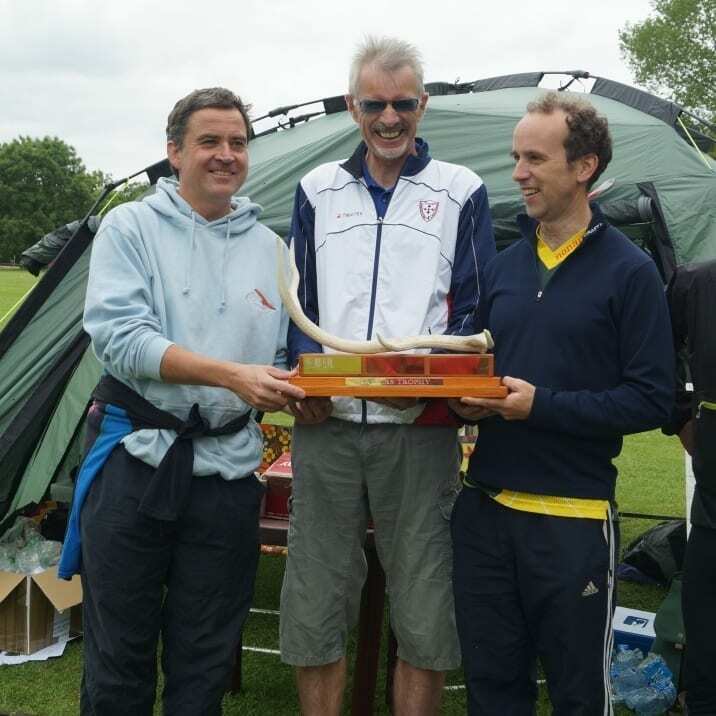 The Dorset club's formidable team of Gavin Clegg, Dale Paget and Roger Crickmore had effectively wrapped up title with two relays to go. A rare win* in Bristol's relay! BOK can usually be counted on to field strong teams in their own relay. Besides, the seemingly omnipotent Wessex Raiders were there. Captain on the day Jim Mallinson was the hero, with a brilliant run on the final leg. The rest of the team was Brian Pearson and Jeff Pakes, who wrote a report for the QuOnicle here. 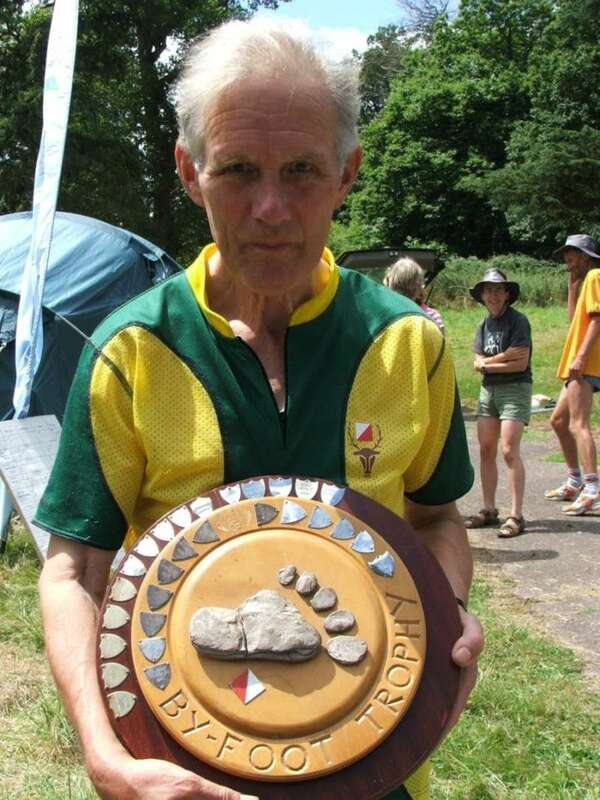 In 2008, we needed to score on the last relay on a hot day in Hethelton, Dorset to achieve a series win, but a debutant relay runner (me) made this difficult when he lost his dibber while running the first leg! The dibber had been straggling precariously by a piece of string from the map and come loose. After frantically retracing steps to search for the dibber, he borrowed one off a family of orienteers and completed the course. The missing dibber was later found and results stitched together from the chaotic sequence of dibs and printouts. Remarkably, we finished second on the day and clinched the series win. Writing nearly 10 years on, this is the final time the series trophy left Dorset. Brian Pearson was the captain in these years. QO apparently had a very successful relay team for many years, consisting of Bill Vigar, Sue Gard, Mike Crockett (pictured) and Jenny Tennant. 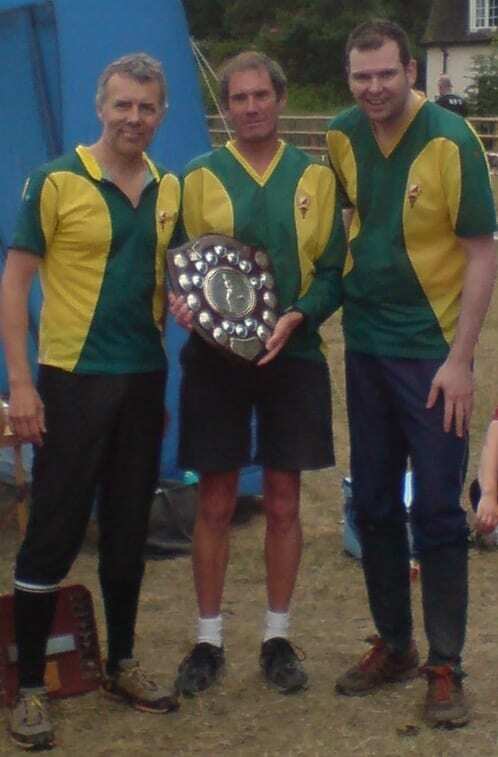 Amongst other successes, in the decade between the mid 90s and mid noughties QO our teams won the Devon Relays' Byfoot Trophy (pictured) many times.